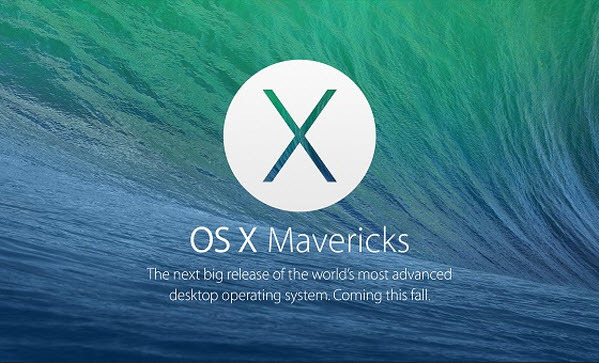 Apple has revealed the latest refresh of its desktop operating system - OS X 10.9, dubbed OS X Mavericks. Mac OS X 10.9 brings more iOS features into the fold along with other tweaks including Finder Tabs, iBooks, Apple Maps, and a number of other time-saving enhancements. With OS X Mavericks, Apple is moving away from the cat-themed names of the first nine versions of OS X and is moving to a brand new California-themed naming convention. Explaining the thinking behind the name change, Apple's Senior Vice President of Software Engineering Craig Federighi said Apple wanted a new theme that would carry Mac operating systems for the next 10 years, and future operating systems would now be inspired by locations in California, the home of Apple HQ. The first of these, Mavericks, takes its name from a famous surfing location located near Apple's hometown of Cupertino. • Finder Tabs - You can pull all your windows into a single tab. Each tab has its own location and its own view mode. You can copy files among tabs and swap from tab to tab to see multiple folders and files. This feature, while not especially novel, is a welcomed feature that will eliminate that mess of windows that also seems to populate throughout the day. • Multiple Displays – With Multiple Displays functionality, you'll no longer need to use systems like SplashTop to extend your display. With this feature in Mavericks, the Mac will be able to push an extended display, or a mirrored display, if you like – to another Apple computer wirelessly. This is connected with Wi-fi network technology via AirPlay. This system also works with Apple TV, meaning you'll be able to mirror a MacBook's display to an HDTV or extend the display wirelessly for media sharing. • iBooks – As one of the features brought over from iOS devices, iBooks is pretty close to its mobile counterpart. You'll now be able to read and shop for books on your Mac and sync them to iCloud so you can switch devices and never lose your place. You also can swipe to turn pages on your trackpad, pinch to zoom into pictures, and scroll smoothly from page to page. You can have as many books open as you want simultaneously, great for students, and you can highlight sections and take notes - all of which are synced to your iOS devices. The app seems to work pretty much as it does on iOS, but it's good to finally see it available for Mac users. • Apple Maps - Apple Maps from iOS comes to the Mac desktop. You can send routes from OS X to iOS. Any route you send to your phone will appear directly on your lock screen. Unlock the phone, go directly to the route and get your directions. There will be a developer SDK for desktop Maps. • iCloud Keychain - Safely stores your website login information, credit card numbers and Wi-Fi passwords, and pushes them to all of your devices so you don't need to remember them. Information is always protected with AES-256 encryption when it's stored on your Mac and when it's pushed to your devices. OS X Mavericks is only available to registered developers right now, so if you're not an Apple developer you still won't be able to check out the new features through Parallels and will have to wait until this Fall to try it out for yourself. 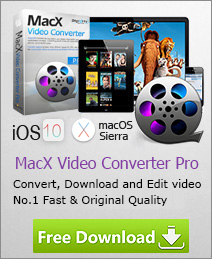 However, you can check out our preview of Mavericks to see everything that's new. Detailed guide to show you how to update to OS X 10.12 from El Capitan or Yosemite and solve the update problems one by one. Mac running slow is annoying. This post lists top simple solutions to speed up Mac Mavericks, Yosemite and El Capitan to make your Mac run faster on your MacBook Pro/Air/iMac for 100 percent free.